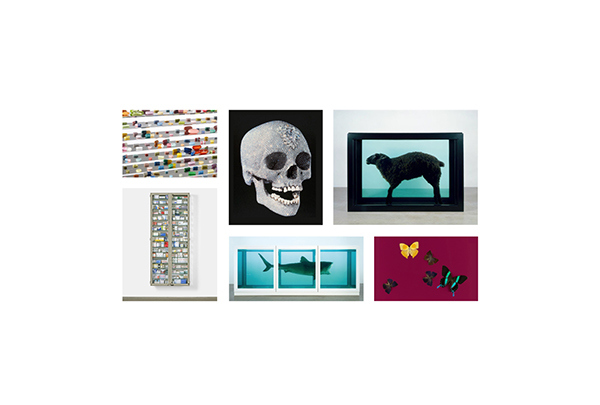 Invitation for a retrospective exhibition at the Gagosian Gallery for Damien Hirst. 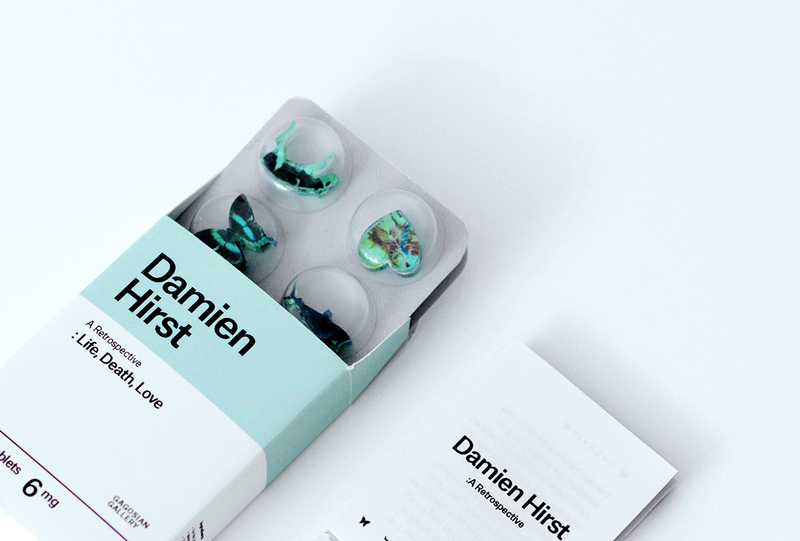 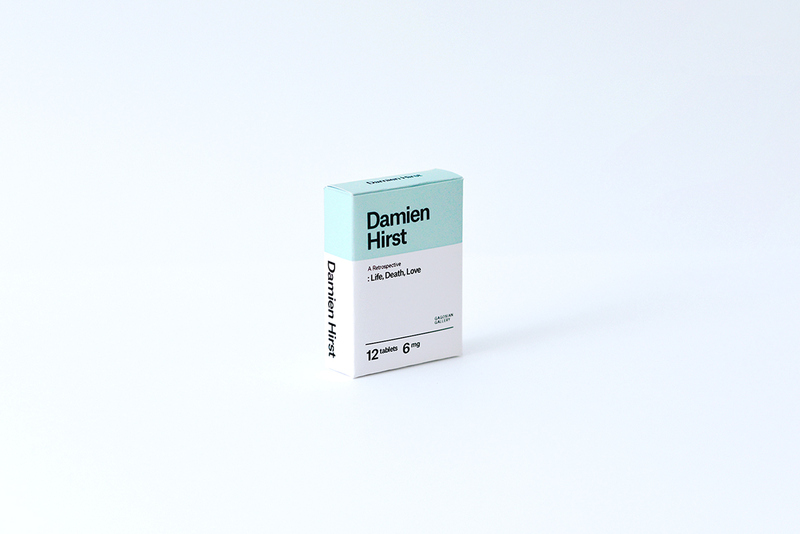 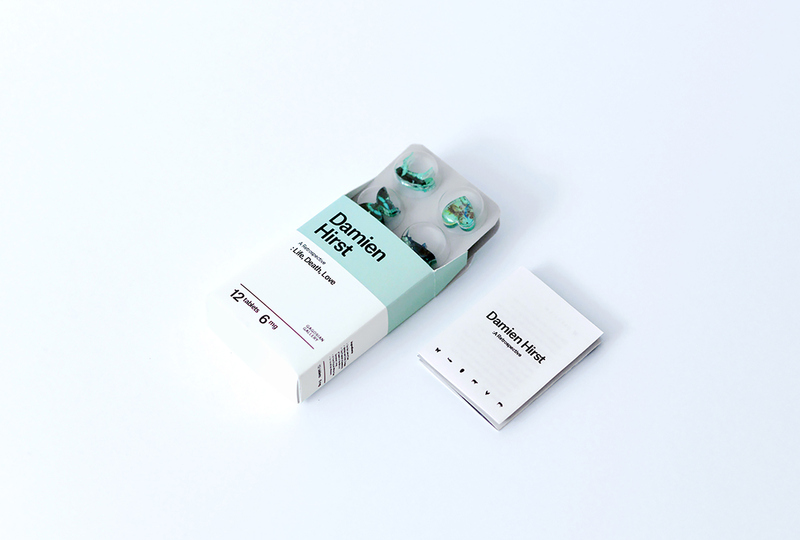 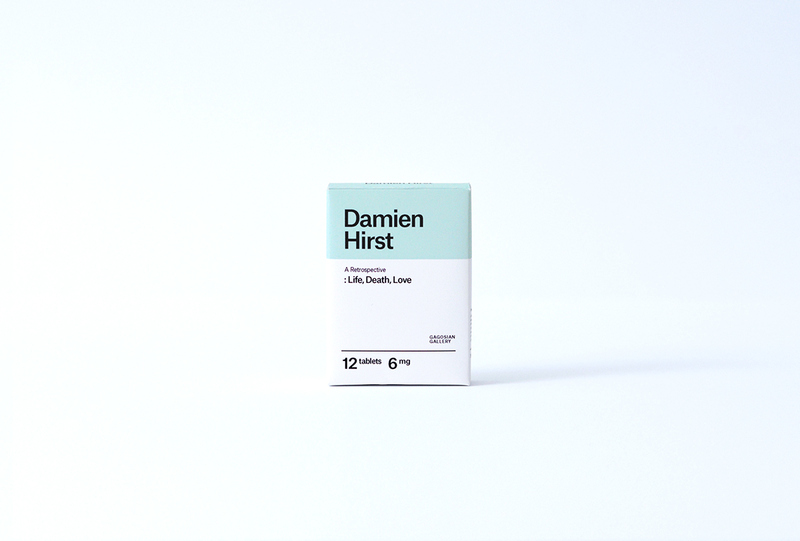 Death, a common theme in Damien Hirst's work, is exposed by tools such as pharmaceuticals and medicines. 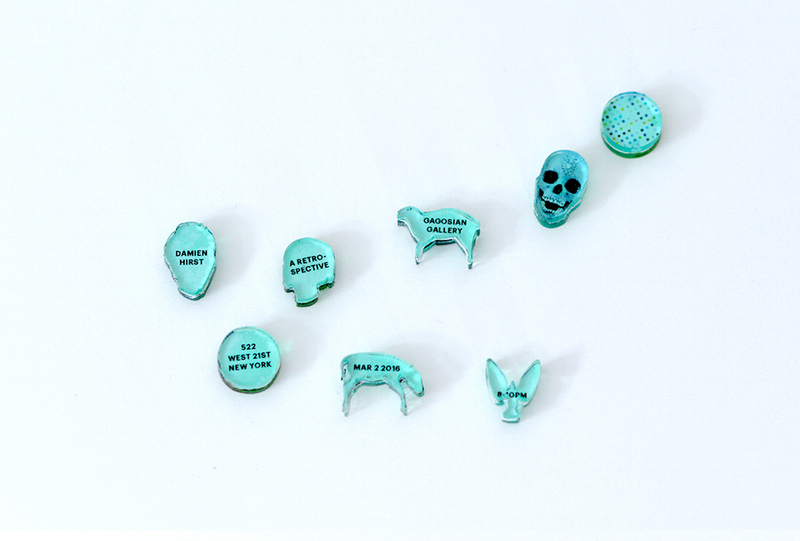 The many types of pills relate to the many types of death. 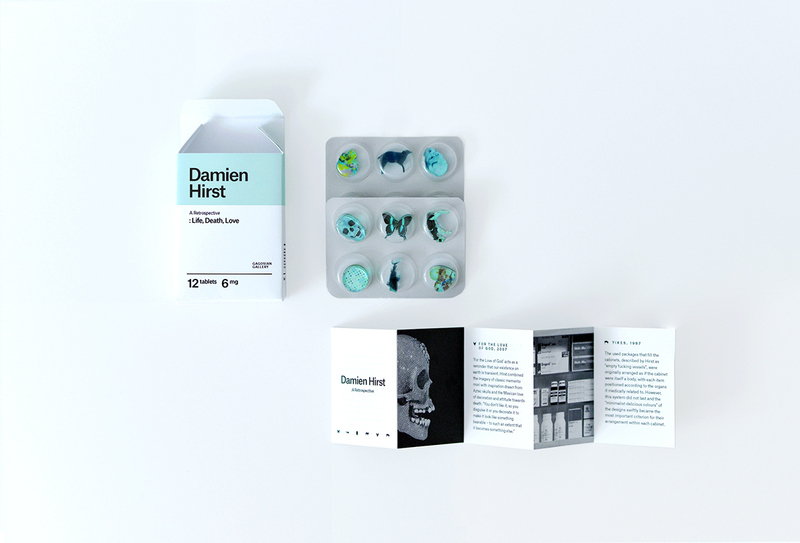 Taking the medicine as the main idea, I made his signature works into pills and designed a medicine package. 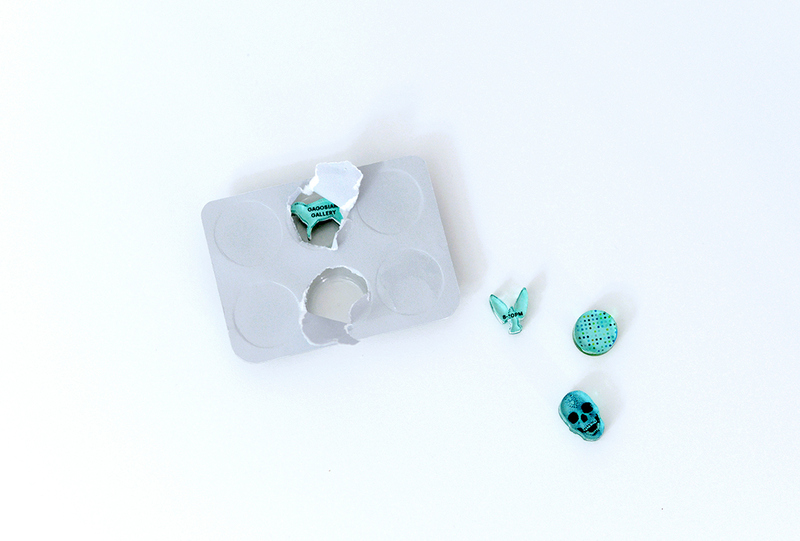 It would be engaging if people had to remove the pills in order to read the invitation information.